Today’s competitive legal services marketing, combined with greater consumer awareness and expectation for online access to services, means law firms are having to research, plan and deploy web marketing strategies to compete effectively. In addition to the traditional marketing channels like public relations, direct mail and print advertising, law firms need to consider a range of online channels too. And, of equal importance is creating a web site that is well structured, well written, optimized for search engines, and offers an easy way for clients to engage online. 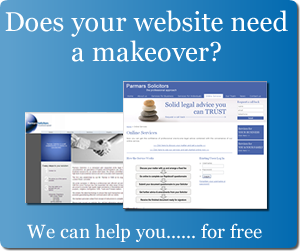 For the smaller law firm, which may lack marketing and web development expertise, we offer a web site design/build and hosting service, in addition to advice and guidance on how to market the firm online. with a free business strategy consult - Get it here! If you commit to a 12-month DirectLaw ClientSpace™ subscription, we will waive our development fee. Your only additional cost is an additional $49.00 a month hosting and technical support fee. This web site offer is based on one our premium standard template designs optimized for online e-commerce transactions.